Casting for theatre comes with a multitude of challenges, one of them being casting race. Is it vital to cast actors that are the same race as the character? How are actors of ambiguous ethnicity cast? Is ethnicity as important as race? References to Salvador Dalí Make Me Hot presented itself with a few such challenges and Single Carrot Theatre invites the audience to ask questions, raise voices, and discuss one of the most pressing issues in theatre today. MORE INFO ON THE SHOW. 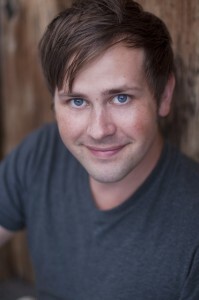 Nathan Fulton has been with Single Carrot Theatre since 2009 as an actor, designer, and director. On Saturday, January 31st he’ll be teaching a one-day Scenic Design workshop at SCT. To register for Scenic Deign, CLICK HERE. We asked him 5 questions about his process and why he loves design. 1. What excites you about scenic design? Scenic design provides the opportunity to create the world of the play, it’s the perfect design element to express yourself as an architect/sculptor. It’s all about manipulating the space to provide the audience with the best entry point into the work. When done right it’s so powerful. 2. What is a favorite scenic design experience you have? My favorite design was for MilkMilkLemonade. It was so simple, plastic, and shiny. I was super happy with how it all came together… and those colors were so vivid. Yum. I remember agonizing for hours about the appropriate choice for the grass carpet. Fake putting greens are expensive! I still think the sales team were upset that I never followed up with them about getting a custom built putting green for our office. That would’ve been a great distraction. 3. How can learning the basics of set design positively influence other work as an artist? As a performer it provides an awareness that heightens your ability to connect to the designs around you. As a visual artist it provides the opportunity to create a piece that breathes with the life of the actor. It’s all about finding that magic moment where all the ingredients in that theatre soup work together. 4. What is a memorable set you’ve seen as a patron, and why is it memorable? I haven’t stopped thinking about Murdercastle for a few years. Epic, huge, and perfect for the B.R.O.S. Ay dios that crane. That cavernous space was filled, and they used every inch to great effect. 5. What has been your favorite set at SCT and why? A Sorcerer’s Journey. Hands down the most elegant design I’ve seen at SCT. The collaboration of the scenic designers on that was so beautiful. It really showed what attention to detail can achieve, but also how a solid knowledge of the basics can really provide the support you need to be successful as a designer. Also fake sand made out of recycled cork, What!? Amazing. Design is a hugely important factor in exploring the world of any given play or production. Allow the play to come to life by learning the basics of set design. Perfect for students, those new to theatre, or professionals who want a deeper understanding of how the world of the play is created. All experience levels welcome!